No matter how well you plan ahead, life always finds a way to throw you a curve ball. It could be something relatively small like needing new brakes on your car or having to travel for your best friend’s wedding. Or it could be something big like losing your job or an extended hospital stay. Those unexpected expenses have the potential to throw your entire financial life into chaos. Or they could simply be an inconvenient bump in the road. It all depends on whether you have an emergency fund that’s set aside for just this type of occasion. That probably doesn’t sound too exciting, but a good emergency fund does two big things for you. First, it turns potential catastrophes into minor inconveniences. Instead of an unexpected expense throwing you into a panic, and maybe even forcing you into debt, you can simply take the money out of savings and move on with your life. Second, and this is the one that often gets missed, a good emergency fund opens up opportunities to take risks you may not have otherwise been able to take. Back in November of 2013, the startup I’d been working for folded and I was left without a job. At the time, my wife and I had a 1-year-old son, another boy due to be born the next month, and I was essentially the sole income-earner in the family. It certainly could have been. But instead of scrambling to find a new job as quickly as possible, my wife and I took some time to step back and think about what we wanted to do. And we eventually decided that I should start a business from scratch (this business) while my wife also launched her counseling practice from scratch, while also moving 1,500 miles across the country. All of those decisions cost us money and left us without much coming in. And we could only make those decisions because we had savings. Our emergency fund not only protected us during that tough time, but it provided us with the opportunity to pursue the life we really wanted instead of being forced to find a paycheck as quickly as possible. That’s what I want for you. I want you to have the security to be able to weather the tough times and the freedom to make the decisions you want to make without money holding you back. That’s why you need a good emergency fund. 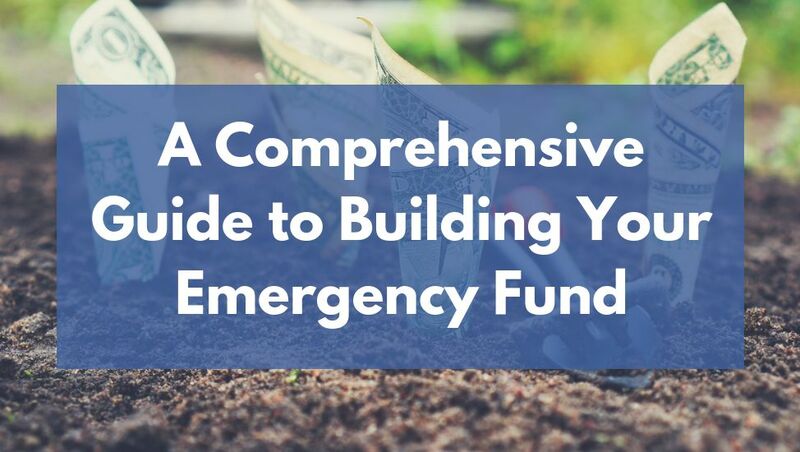 And in this post you’ll find everything you need to build your own emergency fund, no matter where you’re starting from. If you spend a few minutes on Google, you’ll find tons of people telling you that you need a 3-6 month emergency fund, meaning that you should have enough money in savings to cover 3-6 months’ worth of expenses. That’s a good rule of thumb, and we’ll get into all the reasons why you might personally want a bigger or smaller emergency fund down below. But if you’re just starting out, that 3-6 month goal probably feels a little daunting. And the reality is that even if you technically could save that money now, you might want to take care of other financial priorities first. That’s why I encourage people to build their emergency fund in stages. Both because it makes the entire process easier and because it helps you prioritize your money the right way. We all have expenses that come up from time to time that don’t fit into our regular budget. Things like traffic tickets, home repairs, and last-minute birthday presents. Although they feel unexpected at the time, most of these things are a normal part of life. You know they’re going to happen eventually, you just don’t know when. Ideally, you’d treat each of these expected but irregular expenses as a regular part of your monthly budget. You’d do this by estimating how much you spend in each category on an annual basis, dividing that number by 12, and setting up an automatic monthly contributions to savings so that the money is set aside ahead of time. For example, if you typically spend $600 per year on car repairs, you would put $50 per month into a “car repairs” savings account. Then, when you actually have a repair, you’d be able pay for it without disrupting the rest of your budget. But that’s a lot to take on when you’re just starting out. And honestly, trying to do that for each one of those irregular expenses is probably overkill until you’ve spent the time to build a complete financial system and get your other financial goals on track. In the meantime, you can build your Stage 1 Emergency Fund. This is simply a single savings account with $1,000 – $2,000 in it, which should be enough to handle most of the common irregular expenses that come your way. And yes, it’s a good idea to build this savings even before saving for retirement and even before paying off debt, no matter what your interest rates are. Because without this cash buffer, all your other goals will be thrown off track as soon as you have an unexpected expense. Having this money in savings allows you to make real, consistent progress. The math is pretty simple. If you want to have a $1,000 emergency fund 6 months from now, you can simply divide $1,000 by 6 to see that you need to save $166.67 per month. Then you can automate that savings so that it happens every month without you even having to think about it. Of course, some of those irregular expenses will come up as you’re building your Stage 1 Emergency Fund. If those expenses are simply slowing down the growth of this account, you can probably just roll with the punches and accept that it will take a little longer to reach your goal. But if those irregular expenses are constantly draining your savings, it’s probably time to revisit your budget and make some adjustments. 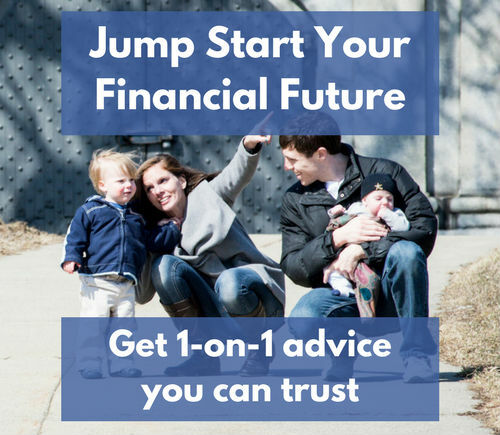 However you get there, this $1,000 – $2,000 Stage 1 Emergency Fund will allow you to handle most of life’s irregular expenses without throwing the rest of your financial plan off track. Once you’ve got those expected but irregular expenses handled, you can move on to building a Stage 2 Emergency Fund that gives you true, lasting financial security, as well as the freedom to make the lifestyle choices you want to make without worrying about how you’ll pay next month’s bills. Your Stage 2 Emergency Fund is the one you’ll eventually want to build to 3-6 months’ worth of expenses, though we’ll talk more about exactly how big it should be below. In other words, a bigger emergency fund allows you to handle bigger life events – both good and bad – without disrupting the rest of your financial plans. If you’re building it over time, automate your contributions so that you make consistent progress month after month. Keep this money separate from your Stage 1 Emergency Fund and other short-term savings. Consider this money to be untouchable until you’ve exhausted all other savings and budgeting tactics. Those last two points are really important, because those are the rules that will make sure this money is there when you really need it. Your Stage 2 Emergency Fund is not the savings account that you should be dipping into on a regular basis. That’s what your Stage 1 Emergency Fund is for, and eventually what your other irregular expense funds are for. In an ideal world, you’d actually never have to touch your Stage 2 Emergency Fund since everything would go according to plan and you’d have plenty of money in other places to handle all your needs. But you may need it someday, and keeping it separate from everything else will go along way towards making sure it’s there when that day comes. Decide how big you want your Stage 2 Emergency Fund (more on this below). Decide when you’d like to have that full Stage 2 Emergency Fund in place. Divide the amount of money from #1 by the number of months from #2. The result is the amount you need to save each month to get there. For example, if you want to have a $20,000 Stage 2 Emergency Fund in 2 years, you can divide $20,000 by 24 months to get a $833.33 monthly savings goal. With that, let’s talk about how big your emergency fund should actually be. Let’s get this out of the way right from the start: there is no definitively correct answer to this question. There’s a reasonable rule of thumb that serves as a good starting point, and a whole bunch of variables you should consider to arrive at your personal savings target. The rule of thumb is that your emergency fund should be big enough to handle 3-6 months’ worth of expenses. The logic behind that is simply that it’s a reasonable amount of time to expect unemployment or disability to last before either finding a job or long-term disability insurance kicking in. But 3-6 months is a pretty wide range, and there may even be reasons for you to aim higher or lower than that conventional wisdom. So here are 7 questions that will help you figure out just how big your emergency fund should be. 1. 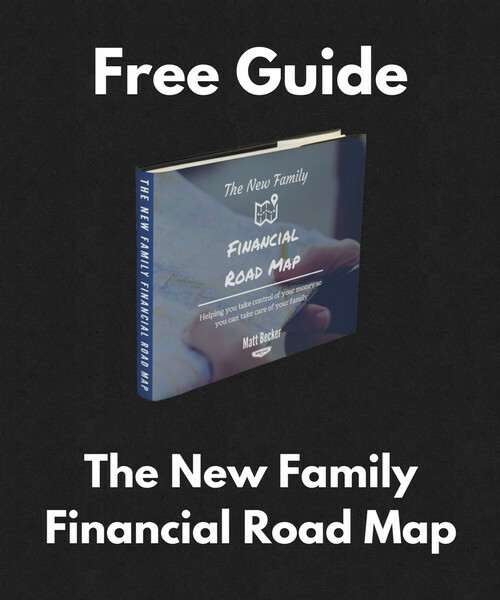 Are your other financial priorities in line? I’m a firm believer that everyone, no matter their financial situation, should build a Stage 1 Emergency Fund. Having $1,000 – $2,000 in savings allows you to continue paying your bills through the ups and downs of everyday life, stay out of debt, make consistent progress towards your other financial goals, and generally sleep better at night knowing that you have cash on hand for whatever tomorrow might bring. But before you start building your Stage 2 Emergency Fund, it’s usually a good idea to make sure you have some other financial priorities handled. 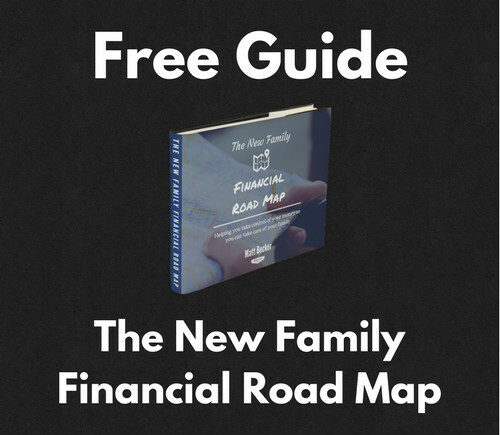 You can see my entire financial order of operations in The New Family Financial Road Map, but here are three of the biggest items to focus on first. Insurance protects you from financial disasters that you or your children couldn’t handle on your own. Chronic diseases that cost thousands of dollars per year to treat. Long-term disability. The death of a parent. Good insurance is a bedrock of financial security, and it also reduces the emergency fund you’ll eventually have to build since some of the risk will be taken away by the insurance. Here’s a guide to getting the right insurance in place: 4 Types of Insurance All New Parents Should Have. Maxing out your 401(k) employer match is a guaranteed 50-100% rate of return you won’t find anywhere else, so you’ll want to take advantage of it while you can. And although your 401(k) should be reserved for retirement, there are ways to access the money if your situation gets really bad, so it’s not completely locked away. I loosely define high-interest debt as anything with an interest rate over 6%, and prioritizing paying that off over building a Stage 2 Emergency Fund comes down to basic math. When your choice is earning 1% in a savings account or saving 6.8% in interest by paying off your student loans, you simply save more money by paying off the loan. When your interest rates are less than 6%, I tend to lean towards splitting your extra money between building your emergency fund and paying off debt. But at higher interest rates, prioritizing debt makes sense. Here’s a helpful post on creating a debt repayment plan: A Simple Tool for Creating a Killer Debt Repayment Plan. Assuming those other financial priorities are in place, you can start deciding just how big your Stage 2 Emergency Fund should be so that you can make a plan for building it up over time. The first step is figuring out how much you typically spend each month. That’s the baseline number that will tell you just how much money would even be in a 3, 6, or even 12 month emergency fund. You may already know the answer to this, but if not, here’s a process you can follow: How I Track My Spending. 3. How easily could you adjust those expenses? Certain parts of your budget are likely more flexible than others. You could probably cut your eating out costs in an emergency. Your mortgage or rent payment? Maybe not. It would be helpful to go through your budget as if you’ve just lost your job and adjust any categories you think could be reasonably reduced in that situation. The more you’re able to realistically cut, the smaller your emergency fund could be. The flip side that’s also worth considering is that certain emergencies may actually increase your expenses. A disability, for example, would probably require more medical care. A job search might require you to be on the road and eat out more than usual. It’s a good idea to err on the conservative side here, but if there are any big expenses that would be easy to cut, you can definitely factor that in. 4. How many people depend on your income? The more people you have who depend on your income, the bigger your emergency fund should be. It’s a simple matter of having more responsibility on your shoulders. This is especially true for single-income families where a job loss would leave you without any money coming in. In that situation, a bigger emergency fund makes a lot of sense. Dual-income families may have a little more flexibility, especially if you could handle most of your necessary expenses on either parent’s individual income. The bottom line here is that when people depend on you, security is the biggest priority. A big emergency fund is a good way to provide that security. 5. Do you have other savings for expected but irregular expenses? The more you’ve saved ahead for those expected but irregular expenses like car repairs, home maintenance, travel, and gifts, the less you need to cover with your Stage 2 Emergency Fund. If you don’t have dedicated savings for those things, you should probably aim for a bigger emergency fund. 6. How stable is your job? Job security is a funny thing to try and measure, and there’s definitely some risk in being overconfident about your own stability. But the truth is that some jobs are safer than others, and the less secure your job is, the more important your emergency fund becomes. 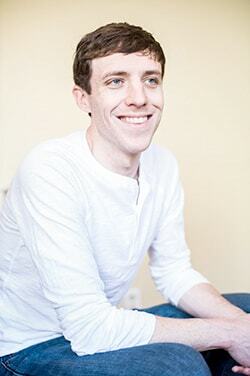 For example, I used to work for a startup software company. Since startups are inherently unstable, I made the effort to build a bigger emergency fund. It turned out that was a good idea, since the startup eventually failed, I found myself out of a job, and I really appreciated having all that savings. You should also consider how easy it might be to find another job if you lost your current one. If there’s a high demand for the kind of work you do, especially in your immediate area, you might not need to be as concerned about an extended period of unemployment. Another factor is whether your current employer offers a severance package, which would pay you either a lump sum or a monthly payment for some amount of time after being fired. That kind of benefit might reduce the need for a big emergency fund. The important thing here is to be honest about your situation and probably to err on the conservative side. I would rather assume my job was less secure than it actually is than the other way around. 7. What’s your personal risk tolerance? Finally, all of this is subject to at least a little bit of personal preference. If you hate the idea of having a ton of cash sitting around in a savings account and you don’t have people who depend on your income, maybe you could aim for a smaller emergency fund. If you can’t sleep at night unless you know that you could live off your savings for a year, then be honest about that and aim for a 12 month emergency fund. This is personal finance and there’s plenty of wiggle room for you to let your personal comfort level influence your decision. Remember, there’s no one right answer to this question. If you work through the questions above and answer them honestly, you’ll get to an emergency fund goal that’s right for your situation. With your freshly minted emergency fund goal in hand, it’s time to answer the last question: where should you keep it? You should keep your emergency fund in a savings account. End of discussion. In all seriousness, that’s the real answer for most people. If you already have a savings account, just start building your emergency fund there. It doesn’t need to be any more complicated than that. But there are a few ways to optimize this decision, and there are a few alternatives if you feel like getting a little fancy, so let’s get into it. Before getting into the three main options you have, you should keep two big rules in mind when deciding where to keep your emergency fund. Rule #1: Safety first: The entire purpose of your emergency fund is to be there when you’re most desperate. So the primary mission here is to keep your emergency fund safe. Don’t even give a second thought to the return that money is earning until you know for sure that it will be there when you need it. Rule #2: Convenient, but separate: You want your emergency fund to be convenient enough to get to if you need it. You don’t want to have to jump through a ton of hoops to access this money. But it should also be kept separate from your other bank accounts so that you’re not tempted to use it for other financial goals. Keeping it in its own savings account is good enough here (i.e. you don’t have to keep it at a completely different bank). With those rules in mind, let’s look at your three main options. It’s safe. Other than doomsday scenarios, you know beyond a shadow of a doubt that your money will be there when you need it. And again, that’s far and away the most important factor here. It’s convenient. Savings accounts are easy to use. You can link it to your checking account, schedule automatic contributions, and get to the money easily if you need it. You can earn interest. Online banks like Ally (my personal bank) and Capital One are currently paying around 1% interest in their savings accounts. You won’t get rich that way, but your money will be growing. And this isn’t the money that’s supposed to make you rich anyways (that’s what investing is for). That’s tough to beat, and in most cases I really wouldn’t spend much time overthinking this. Pick a savings account that doesn’t charge ridiculous fees, offers a reasonable interest rate, and start saving. Roth IRAs have a unique feature that makes it possible to use them as an emergency fund: you can withdraw up to the amount you’ve contributed at any time, for any reason, without tax or penalty. Let’s say that you’ve contributed $5,000 to your Roth IRA and it’s grown to $6,000. What that means is that the $5,000 is available to you at any time. You could decide to withdraw it today and use it to take the kids to Disney World if you’d like. But the $1,000 you’ve earned on top of that contribution can’t be withdrawn until age 59.5 without being both taxed and penalized (with some exceptions). And although Roth IRAs are typically used as long-term investment accounts, there’s no rule that says you have to invest the money. You could choose to keep it in a money market fund, which is basically the same as a savings account, so that your money is safe. Some banks, like Ally, even offer IRAs that are essentially invested in their savings account. You’ll want to be especially wary of fees on these accounts though. Many bank IRAs have hidden fees that can really hurt you. The biggest downside of using a Roth IRA for your emergency fund is that it takes up valuable space that could be used for retirement savings. In an ideal world, you’d be maximizing these tax-advantaged accounts for your long-term investments and keeping your emergency fund in a separate savings account. The other downside is that it makes things a little more complicated. Contributing to and withdrawing from a Roth IRA is usually not as simple as with a savings account, and the added complexity may not be worth it. It also should definitely not be used as your Stage 1 Emergency Fund. That money will likely be accessed pretty frequently and it just isn’t worth the hassle of dealing with a Roth IRA. But if you already have a separate Stage 1 Emergency Fund, and if you otherwise wouldn’t be able to make the full $5,500 annual contribution to your Roth IRA (the 2017 limit per individual), using your Roth IRA for your emergency fund can make a lot of sense. If you actually do have an emergency, you can simply take the money out. 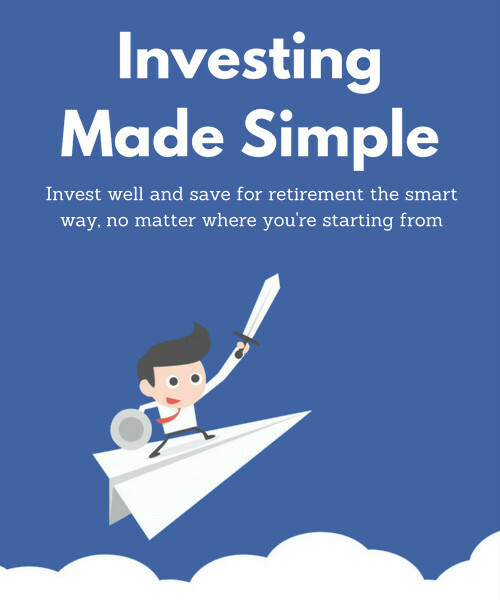 If you don’t, you can work on eventually building a dedicated emergency fund outside of your Roth IRA, at which point you can switch the purpose of that Roth IRA to retirement savings, start investing it, and eventually have some tax-free retirement income. In other words, it allows you to make use of that valuable Roth IRA space before it’s gone, without sacrificing your immediate financial security. Not a bad deal! At some point you might accumulate enough money outside of retirement accounts that you could consider investing your emergency fund without risking the security you need. A reasonable rule of thumb is to expect that you could lose 50% of the money you have invested in the stock market in any given year. Things certainly could get worse than that, but that’s a pretty conservative worst case scenario. So let’s say that you’ve decided you want a $30,000 emergency fund. Using our rule of thumb, you could put $60,000 into the stock market and still feel reasonably confident that you’d have at least $30,000 on hand when you needed it. You could be even more confident if you took a more balanced approach to your investments, perhaps only putting 60-70% of that money into the stock market and the other 30-40% into lower-risk bonds. 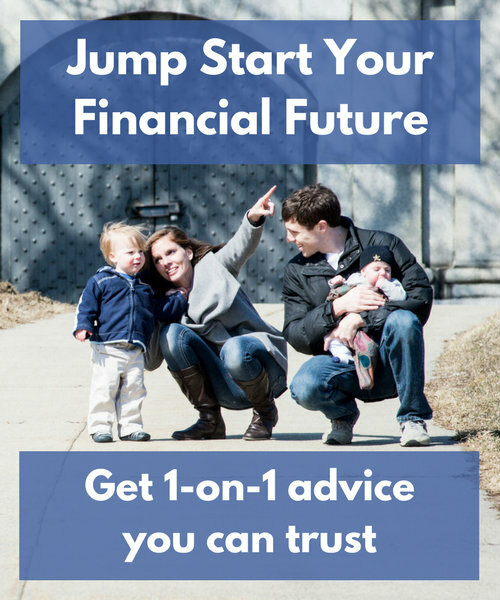 Neither of those approaches would give you the same guarantee that putting the money in a savings account would give you, but you could feel reasonably sure that the money you needed would be there even during a market downturn. And the upside of investing the money is that the stock market has always gone up over the long term. So while it’s certainly possible that you could lose a significant amount of money in a market crash, the likeliest scenario over a long period of time is that you’d get significantly better returns than you’d get from a savings account. Of course, going back to Rule #1, the main priority here is ensuring that your emergency fund will be available when you need it, no matter what. So this should really only be a consideration if you have significantly more than you would need for your emergency fund saved outside of retirement accounts. But if you do, this could be a way to make you money work harder without sacrificing your baseline financial security. Quick note: Linden Cornett, the founder of Seagrass Financial, mentioned in the comments that high-earners may want to consider tax-exempt money market funds within a taxable investment account as an alternative to a savings account. The after-tax return may be higher, especially if you live in a high-tax state. A company like Vanguard will offer these funds at minimal cost, allowing you to keep as much of the return as possible. At the end of the day, your emergency fund is there to ensure that you have the money you need to deal with an uncertain future. Life is full of surprises, both good and bad, and that’s especially true with a growing family. Those surprises will always be stressful, but they’ll be a lot easier to handle when you have a good emergency fund in your back pocket. The security to handle whatever comes your way and the freedom to pursue the life you want without worrying how you’ll pay your bills. That’s the promise of a good emergency fund. Thank you for this insightful article about EF. It is great that you pointed out that there is actual 2 part of EF. Though actually, I would categorize the Stage 2 as a true emergency, and Stage 1 is more of short-term saving/spending. For this reason, I personally put Stage 1 in an online, high-yield saving account, and Stage 2 in a conservative portfolio. There are risks involved, but I am comfortable with it, especially I have the cash on-hand with Stage 1. Additionally, there are much less chance that I will need to reach to Stage 2, considering of having a stable income and Stage 1 to absorb it first. That’s definitely a good way to look at it and I agree that the different stages are meant for different types of “emergencies”. Great guide! Very thorough and easy to understand. I like that you split up Stage 1 vs. Stage 2 emergency funds – I never really thought of it that way! Thanks Lisa! I’m glad it was helpful. An emergency fund is one of those things where once you have one, you never want to go back. We’ve had many situations that could have been extremely stressful, but we’re just annoyances because money from our emergency fund could make the problem go away. If everyone had an emergency fund, it would change the world! I completely agree with that last sentence! Financial security changes a lot of things for the better. Thanks for the post! I like how you’ve broken this out – it’s a great way to think about emergency funds. While I love online savings accounts such as Ally, I think that for some high-income folks, it can make sense to use a tax-exempt money market fund for the “Stage 2” emergency fund. The after-tax return for the Vanguard tax-exempt funds (especially the state-specific ones for people in high tax states) is competitive with Ally – although this has not been the case until recently! Thanks Linden! That’s a great point that I should probably add to the post. Definitely worth looking into.